Chinese coral heavy weight Superlon Tex 400 or S-Lon cord has a diameter of .9mm. It is a bonded, 3-ply, twisted multi-filament cord, similar in size to Griffin #10. 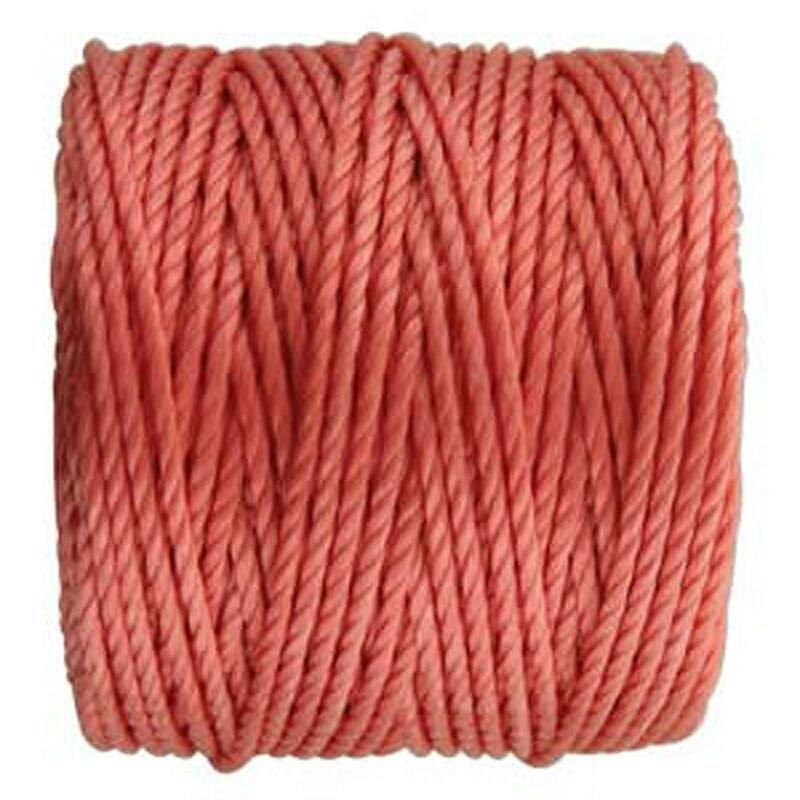 You will receive one spool of Chinese coral colored cord, 35 yards per spool.